A lovely language, in which many divine equations were revealed. 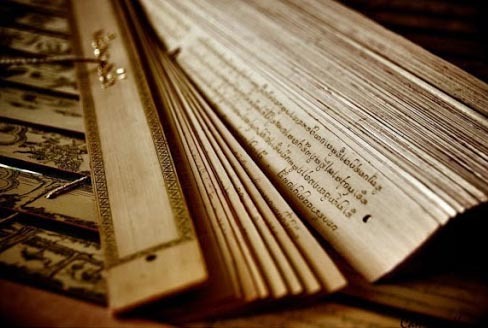 The millions of verses which adorn Indian Philosophy are in Sanskrit. The Congi "Secular" Govts always gave a step motherly treatment to Sanskrit. 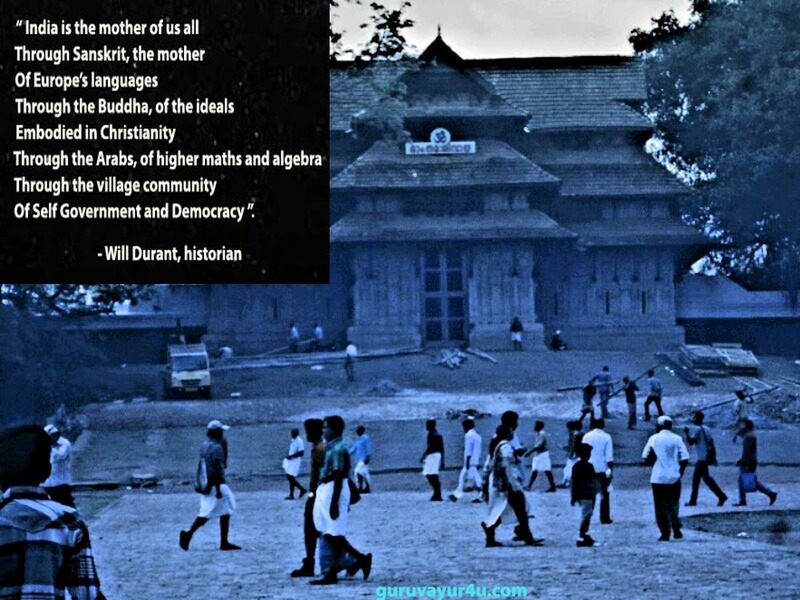 What Latin is to Western Civilization, so is Sanskrit to the Indian. Normally a Three Language Formula is followed in India. Bhartrihari's famous " Sarve Gunan Kanchanam Asrayanti " ( Everything is based on Economics ) is not religious.. Kalidasa'a Abhijnana Sakuntala also is more romantic than religious. As India's major literary works are in Sanskrit, she should be respected as India's scholarly language ! She is to India what Latin is to the West. As against the Nehruvian Secular Argument, that Latin, Arabic and Sanskrit are the languages of certain religions, we are talking about the wealth of scientific and philosophic knowledge contained in Latin and Sanskrit texts ! 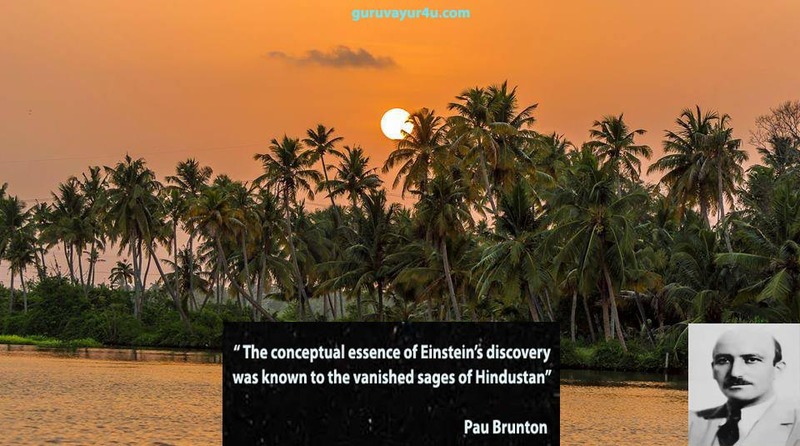 Examples are Russell's Principia Mathematica, Newton's Philosophie Naturalis Principia Mathematica and the Arybhateeya or Maha Bhaskareeya or Ashtanga Hridaya. It is obvious that Charka and Chacha had fooled the Indian village idiots with their " All religions are same "and " turn the other cheek philosophy " ! 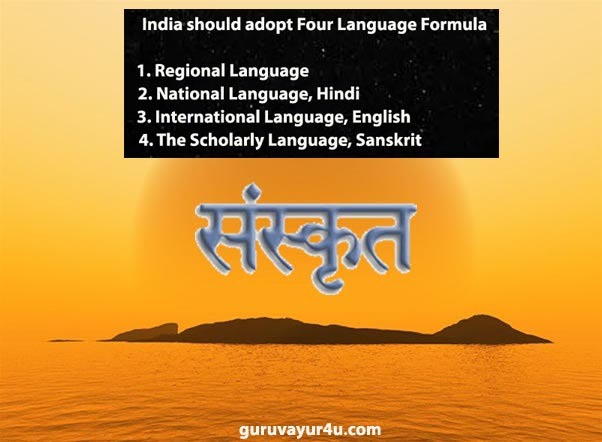 We call upon the Nationalistic Govt to adopt the four language formula. This Conspiracy has been there from 1949. The State Education Ministers came up with a scheme in 1949 and the Central Education Ministry evolved a Three Language Formua. This was enunciated in the National Policy Resolution,1968 and was confirmed int he National Policy on Education, 1986. The Bha of Bharat means that which illumines all Sciences, Bha Bhati Sarva Sastreshu. India is the land which illumined the intuitive sciences and Sanskrit is the language responsible for such illumination !